New pop culture this week! Now in a new (and much simpler format). Instead of going through every major release in music, tv, and film I will just highlight the top five (or so) releases you should now about this week. Because I am only doing five, my choices will tend toward things you’ve never heard of, rather than the major releases every knows about. 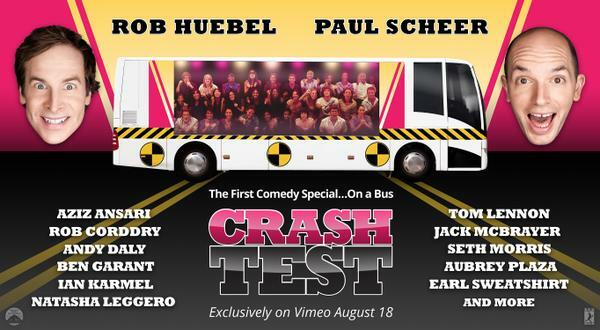 Taking their UCB comedy show to a whole other level, Paul Scheer and Rob Huebel present a comedy special for Vimeo that all takes place on a bus as they tour around Los Angeles with a live audience. The special also guest stars Aziz Ansari, Rob Cordry, and Aubrey Plaza making appearances in the several pit stops that the comedians take along the way. It looks like a fun experiment, one that is particularly suited for the widespread interests of someone like Scheer (who among his many tv guest spots is in The League, hosts How Did This Get Made?, co-launched Wolfpop, and has a performance art podcast The Sylvester Stallone Show). Fans of alt-comedy will likely be into this. While the mockumentary is well played out by now, the idea of actually parodying the art of documentary filmmaking feels like it’s ripe for satirization. Enter IFC’s new Seth Myers’ produced show Documentary Now–a six episode series presenting faux documentaries in the style of some of the most famous works in the genre (The Thin Blue Line, Grey Gardens). 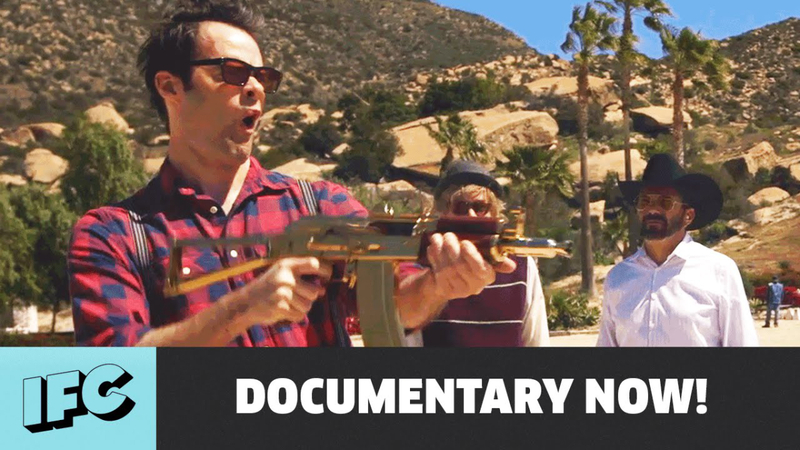 In a genre that can often become far too serious in its sense of self-importance, Documentary Now will hopefully bring about some fresh air. The series stars Myers, Bill Hader, Fred Armisen, and Helen Mirren as the host. 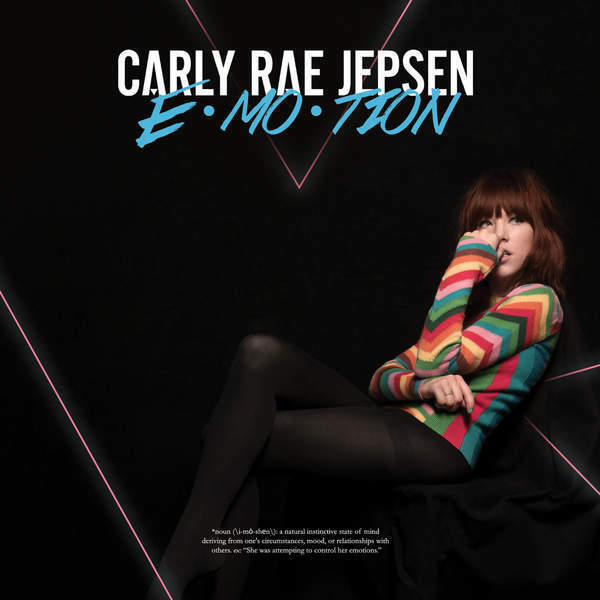 Jepsen’s new album will likely be the year’s best pure pop album even if early singles didn’t really do great on the radio (but boy is “I Really Like You” great). Jepsen already has the decade’s best pop song under her belt and here she is joined by a plethora of great song writers in SIA, Shellback, Peter Svensson (The Cardigans), Rostam Batmanglij (Vampire Weekend) as well as a whole slew of other Swedish pop song writers. It’s a bummer that this didn’t come out earlier in the summer (like it did in Japan) as it’s the perfect sort of bubblegum pop that would have been the perfect soundtrack. 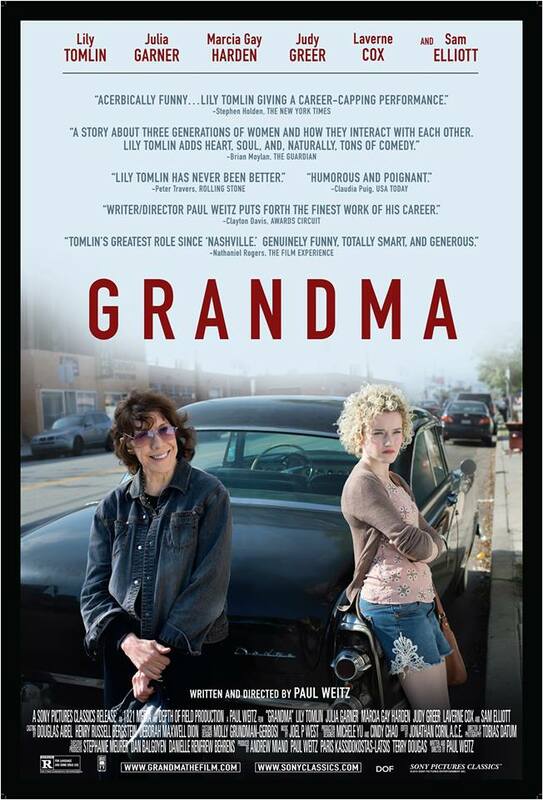 Lily Tomlin stars as the grandma of Julia Garner (who had a bit role in The Americans this season) who has recently found out she is pregnant. Garner asks her for money and they embark on a trip together with Tomlin looking out for her granddaughter in the way others don’t seem to be. Tomlin’s character appears to be outspoken, the sort of crazy old woman trope that can grow tiresome, but early positive reviews suggest it will be a much more touching film than crass old woman comedy. A movie that’s really come out of nowhere–I hadn’t heard of it until a couple weeks ago and there seems to be little buzz surrounding it leading up to its premiere. 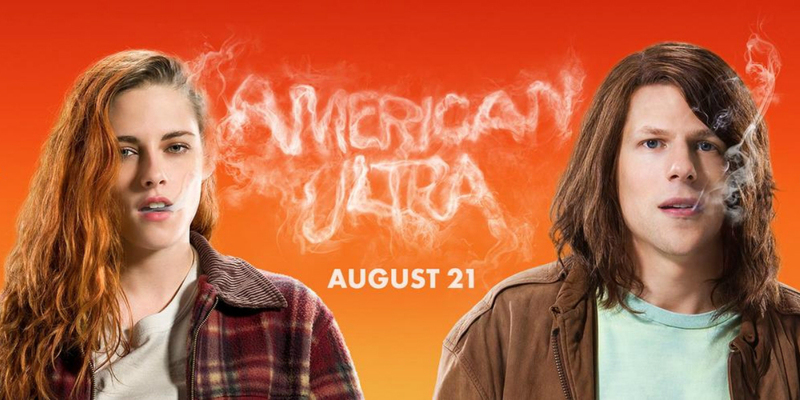 On its face it seems interesting–a couple of stoners (Jesse Eisenberg & Kristen Stewart) are thrust into the middle of a CIA assassination attempt and suddenly one realizes in Jason Bourne-like fashion that he is a highly trained hit man. It’s part stoner-comedy, part spy thriller and it could be really good or quite bad.